As the company faces a barrage of lawsuits, this revelation is very bad news. 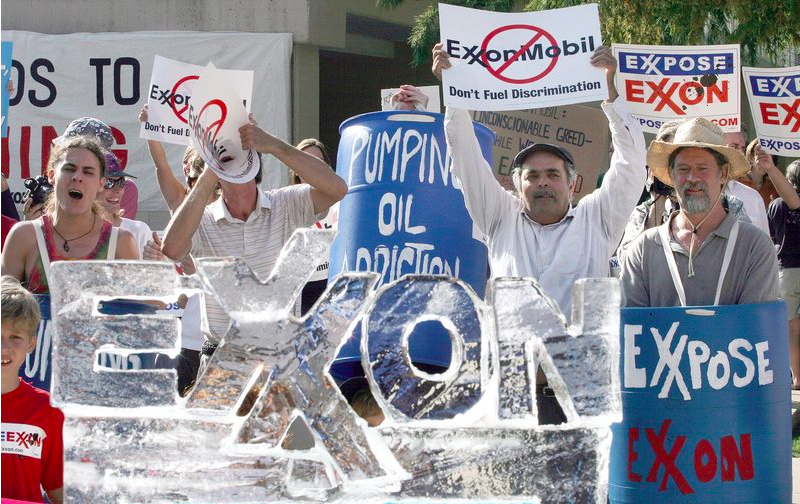 That’s what Exxon Mobil told the public to do after a team of researchers at Inside Climate News and the Los Angeles Times alleged in 2015 that the company had consistently lied to the public and shareholders about climate change. And so researchers Geoffrey Supran and Naomi Oreskes of Harvard University took up the challenge and systematically analyzed 187 internal and public-facing documents from the fossil fuel giant, the results of which they published this week in the journal Environmental Research Letters. “Available documents show a systematic, quantifiable discrepancy between what Exxon Mobil’s scientists and executives discussed about climate change in private and in academic circles, and what it presented to the general public,” they wrote. Global Citizen advocates for the Global Goals, which call for a rapid transition to renewable and clean energy sources. You can take action on these issues here. The Harvard researchers found that roughly 80% of the company’s academic and internal papers argued that climate change was real, man-made, and accelerating. At the same time, 81% of the company’s advertorials relating to climate change cast doubt on the phenomenon. To guard against charges of subjectivity, Supran and Oreskes used an empirical method known as content analysis. They coded the content of all the documents according to their characterization of climate change as real, human-caused, serious and solvable. They then subjected their research to peer review analysis to verify that it was sufficiently objective. “Even while Exxon Mobil scientists were contributing to climate science and writing reports that explained it to their bosses, the company was paying for advertisements that told a very different tale,” they wrote in the op-ed. As early as the 1970s, Exxon Mobil knew about climate change and how it was predominantly caused by burning fossil fuels, the researchers argue. Yet the company kept this information concealed and then offered the public a much different view. Exxon Mobil has been accused of misleading the public in the past to protect its business model and the company has so far managed to elude legal charges. However, the company is currently facing a barrage of lawsuits from citizens suffering from sea level rise, employees who believe they were duped into buying company stocks, and state prosecutors alleging widespread corporate malfeasance. The company’s executives have consistently denied that they misrepresented their understanding of climate change to anyone and argue that they’ve always been forthright in their communications. This new research could tip the scales against them. Earlier in the year, an analysis found that just 100 companies were responsible for 71% of all greenhouse gas emissions. Exxon Mobil was found to be the 5th largest contributor of greenhouse gases. in the world and shows no signs of slowing down. The company has plans to exploit the Arctic for fossil fuels as glaciers melt in the region, opening up new channels for humans to explore. Such a move would make the Paris climate agreement’s goal of keeping global temperature increases under 2 degrees Celsius virtually unattainable. It would also defy the scientific consensus on climate change — even that of its own scientists.